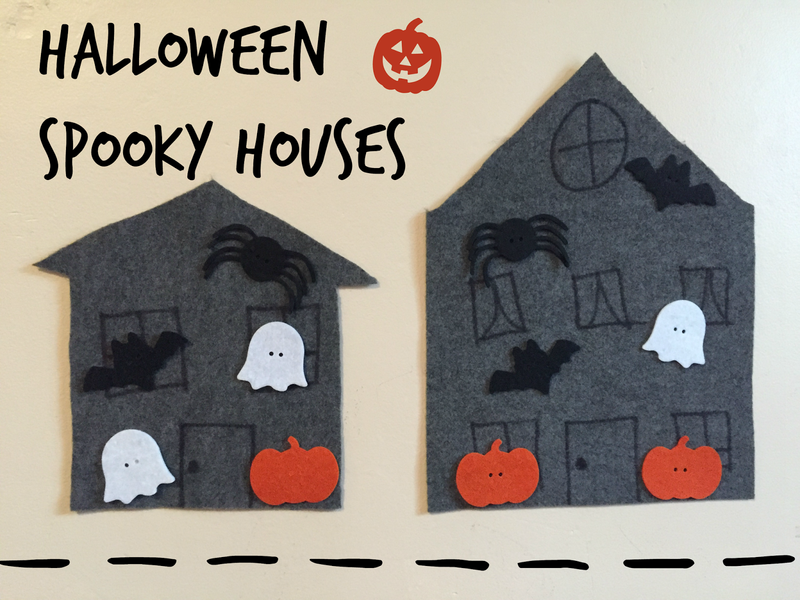 Toddler Activity: Halloween Spooky Houses! We are getting into Halloween mode around here with decor, fall food and plenty of Halloween themed activities! I tend to prefer activities that are easy to set up and this one definitely fits that bill! 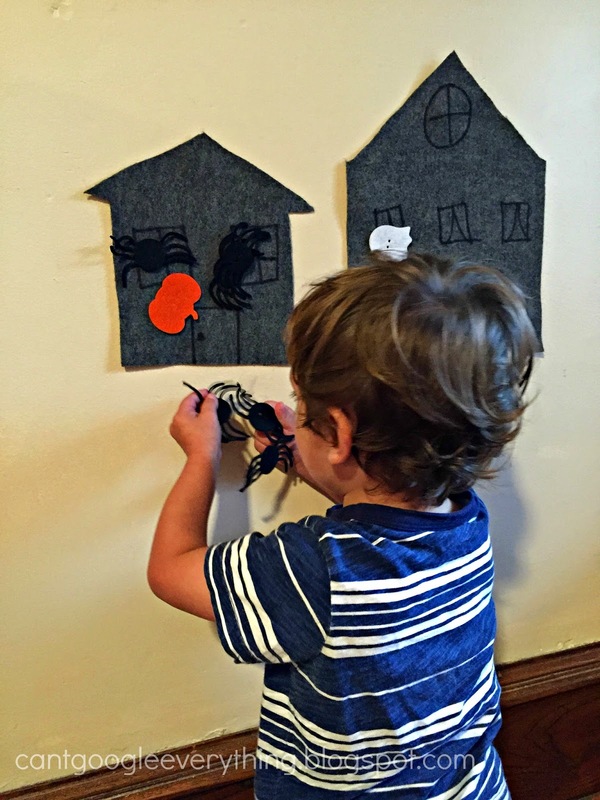 We made “spooky houses” with movable felt Halloween themed characters and Carter had so much fun playing with this! 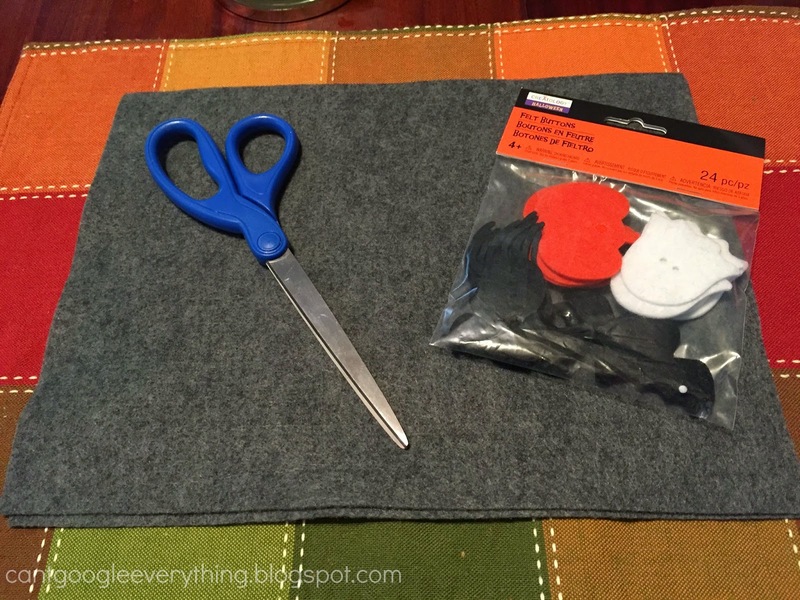 All you need: grey or black felt, scissors and pre-cut felt Halloween characters! (optional: permanent marker) You could also cut your own characters, but that adds an extra step and a lot of cutting, so for $1.50 I chose to go the pre-cut route! I went with grey felt because the bats and spiders were black, and I wanted Carter to be able to see all the characters clearly. 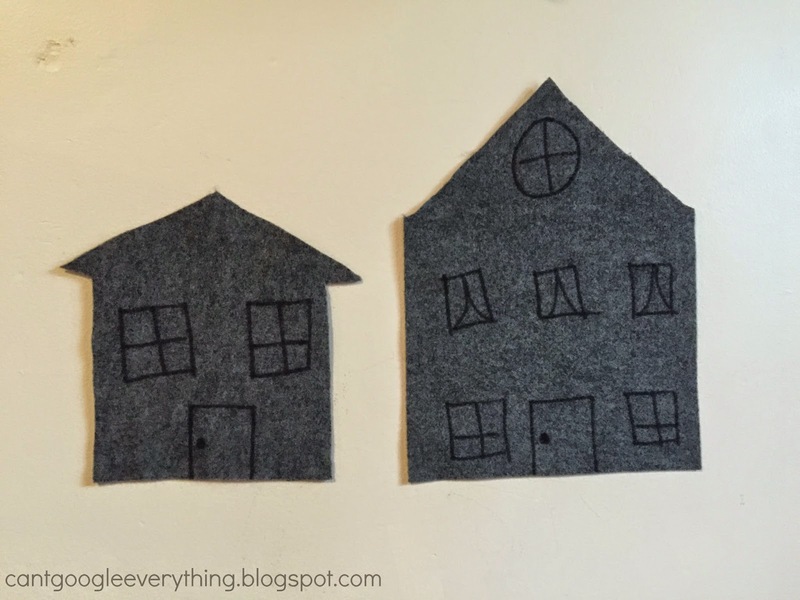 Cut your houses out of the felt. Draw them first if you don’t trust your scissor skills! I drew doors and windows on ours with a permanent marker for a little extra character. Tape the houses to the wall, cabinet front, door or wherever is easily accessible for your kid to reach! I used painters tape and taped our spooky neighborhood to the wall. 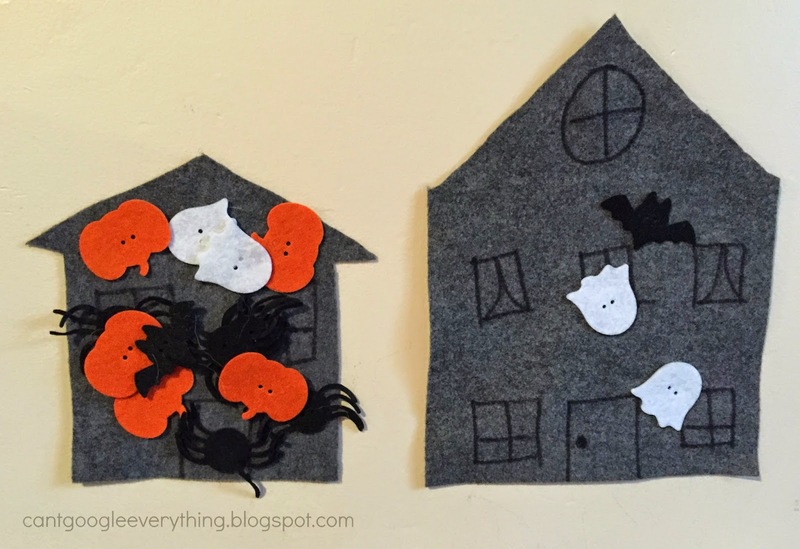 Show your kid(s) the felt characters and let them decorate! Depending on their age you might have to help. I explained what we were doing and showed Carter how to place them and how they could be moved around. We talked about the different shapes and names for each one. Carter didn’t care much about his decorations being even on each house! He put most of the little guys on the smaller house and only moved the two ghost over when I pointed out the other house was empty! I found all the supplies for this at Michaels craft store, but they probably have similar items at whatever craft store is near you! Such a clever and easy craft to do! I'm pinning this to my preschool learning board. I never knew about moveable felt. This is such a cute craft idea! Nice, easy peasy crafts! My kids are much older and I know they'd love this ANYWAY because they adore all things Halloween. This is so cute! My son would love something like this. Love it! Sort of like the christmas tree idea, but for halloween. my kids would love it! What a cute idea! I'll need to try this with my little one! He'll love it! SO fun!!! My kids would love this! Great idea for a quiet activity while at the Dr, church or something too! This is such a cute and great project.